GANN ACADEMY, WALTHAM, MA — As modalities of teaching and learning have evolved since its 2003 school opened, Gann Academy identified the creation of a Learning Commons and Maker Space as a priority to better align its facilities with its educational mission. Gann engaged MDS to study options for adapting existing spaces to create a new hub for learning, research, multimedia exploration, and community engagement. Be a comfortable and stimulating environment that teachers and students want to be in. A combination of open and closed classrooms and presentation spaces encourage small group work and quiet individual study. 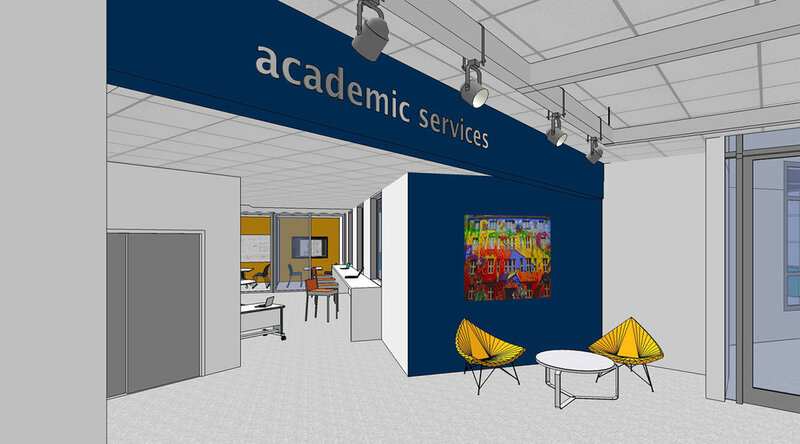 Learning support services—including the Writing Center, IT help desk, research assistance, math help, and peer tutoring—are fully integrated into the Learning Commons. 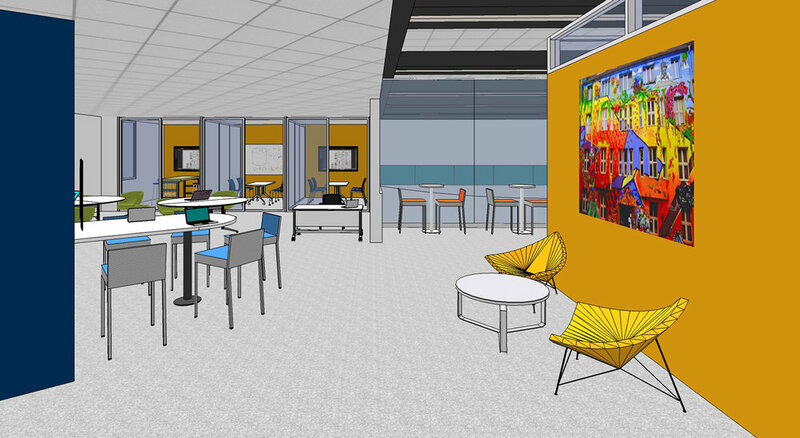 Multimedia labs for innovation with wood working, metal working, sewing, 3D printing, laser cutting, digital design complement the school's studio art studios. Transparency throughout the Learning Commons and its many program areas allows students walking through the space to see the work going on inside. Making learning visible, the Learning Commons includes areas for public presentations to engage passersby. Above all, the Learning Commons should be a comfortable and stimulating environment that enhances school community.